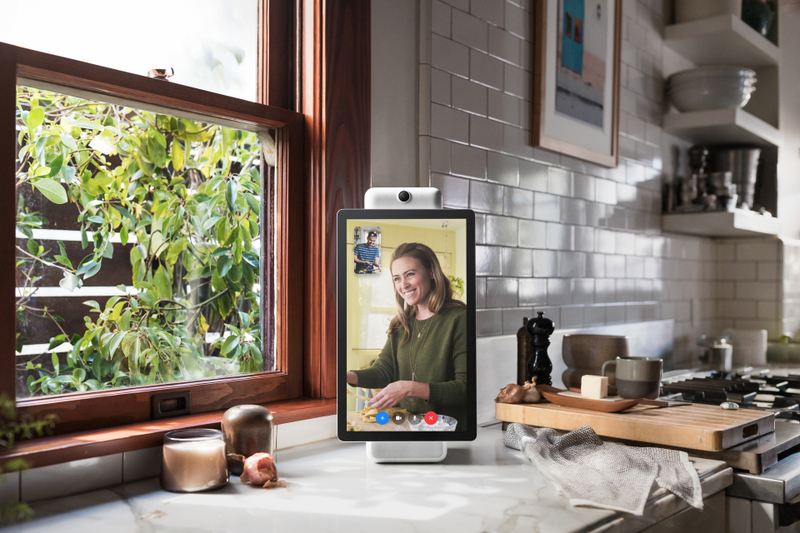 Facebook has just unveiled its first-ever Artificial Intelligence (AI)-powered smart video chat devices, Portal and Portal+. These devices can display photos and videos posted by friends on Facebook and are made for AI-enhanced video calls with Facebook Messenger, an app with 1.3 billion monthly active users. The devices will be able to speak with Amazon’s Alexa and stream music from Spotify, Tidal etc. Facebook said the Portal line is meant to bring people closer together in a way that feels natural and eliminates the friction of video calls on laptops and smartphones. Portal can do group video chat with up to seven people, using the Messenger app on smartphones and tablets. Calls will also include ways to read stories using augmented reality and a platform for third-party developers and partners to deploy AR experiences for kids and adults. Both Portal devices embody a series of AI-driven services, including Smart Camera for video calls that zoom to follow a person and Smart Sound to regulate the volume of call participants so each comes through at a good volume. Spotlight mode can also be used to make the camera follow a single person in a video call. People-tracking capability in Smart Camera does not include facial recognition software, and at launch, Portal will not include any form of facial recognition, as had been previously reported. Portal will have to compete with other similar devices from Apple and Samsung, as well as Google’s Home and Amazon’s Echo line of smart speakers. Facebook might be considered late to the smart speaker market, but it’s right on time for the battle brewing between large tech companies eager to ship hands-free speakers. To enrich experiences on and off video calls, Facebook will open a Portal App Store and introduce a “software development kit” that lets partners and third-party developers use Portal to create augmented reality experiences for kids and adults that can be used during video calls.